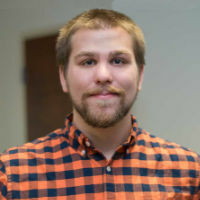 I’m a front-end web developer and designer from Cincinnati, OH. Author of “Creating Interfaces With Bulma”, graduate of the University of Cincinnati, and organizer of the CodePen Cincinnati meet-up. I lead workshops and discussions about the latest in the field and build progressive web applications with VueJS and ReactJS. I’m also a bit of a “Legend of Zelda” fan. Nuxt.js is a framework with built-in server-side rendering for universal Vue.js apps and websites. This post will help you get up and running with Nuxt. A quick tour about installing and using Bootstrap 4, Bulma or Foundation for Sites in a Vue.js app. How to use the popular Chart.js library with the Vue.js framework to build simple HTML5 charts.